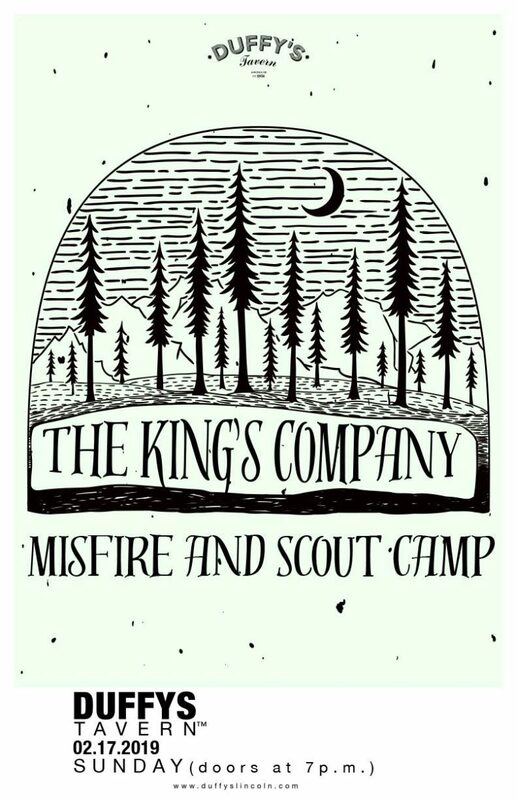 Caught in between comparisons of Arctic Monkeys and The Black Keys, The King’s Company is a beast of their own. With heavy guitar riffs and rhythmic overlaps, the young band out of Omaha, Nebraska is paving a new name for alternative rock. The King’s Company was founded in the basement of high school guitarist/vocalist Evan Kieser, with percussionist and long time friend Nick Townsend making the duet. Their first show was in December of 2017, only weeks after being a band. In January of the following year, bassist Andrew Talbot was added to the roster. Only 6 months after the show, they released their first EP, titled “Yours Truly” containing four songs. Currently, The King’s Company is recording a full length album and performing all across the Midwest.